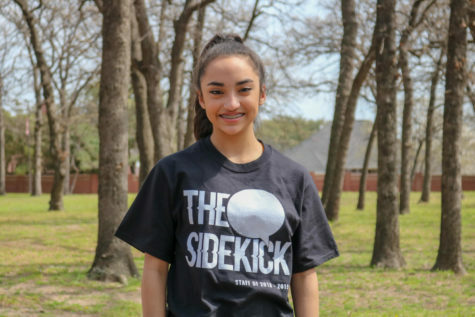 The Sidekick staff has voted on its choices for the best in entertainment this year. There are six different categories. New singers jumped into the scene. Movies shattered records – as well as cultural barriers. The shocking deaths of many adored celebrities created a void in fans’ hearts. All of these things and more described 2018, an exceptionally eventful year for entertainment, both globally and locally. 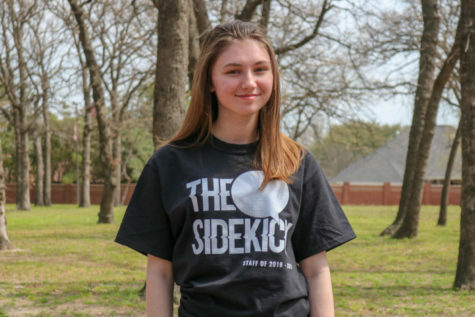 Below are The Sidekick staff’s votes on the most notable releases and events of the year. The release of Infinity War was nothing short of an event. The trailer itself is YouTube’s most-viewed trailer in 24 hours, and the movie shot up to the top of the box office, grossing more than $2 billion worldwide and becoming the fourth highest grossing movie of all time. It was the culmination of the fight between good and evil that has been growing since 2008’s Iron Man. With an ending that left viewers in shock and spawned a wide range of memes, Infinity War has been on our minds since its release in April and is sure to stay until the arrival of the highly-anticipated untitled sequel, coming in May. “Ever since I was a child, [Marvel] has been very prominent in my culture. I went and I saw Iron Man, and I was like ‘OK’. I never expected Iron Man to become what it is now. 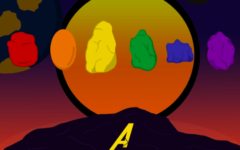 Everyone was in [Avengers: Infinity War]. It was an event. I liked the fact all the characters [Marvel] introduced into the universe were in the movie, with the exception of Ant-Man and Hawkeye. I like their chemistry together and the way they introduced the different characters,” The Sidekick staff writer Anika Arutla said. Infinity War received five Sidekick staffer votes for the best movie of 2018. Black Panther, another culturally impactful Marvel movie, comes in second place with three votes. 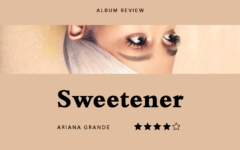 With five votes, Sweetener is the staff’s favorite album of the year. The album is packed with personal and empowering songs in the wake of public tragedies, such as “No Tears Left to Cry”, “God is a Woman” and “Breathin’”. 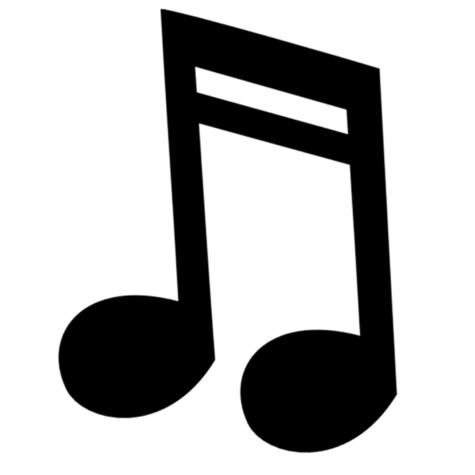 It is a combination of pop, R&B and trap music that features star-studded appearances from Nicki Minaj, Pharrell Williams and Missy Elliot. 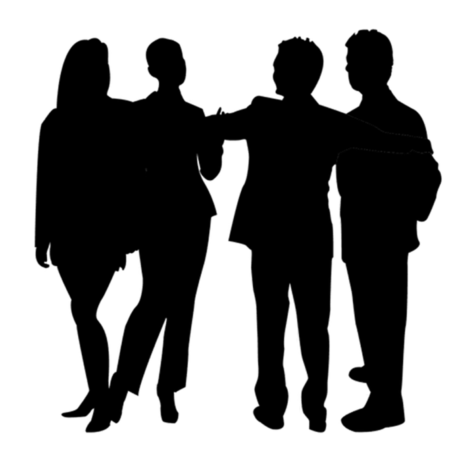 There is a three-way tie for The Sidekick’s second place album. Ex-Fifth Harmony member Camila Cabello’s debut Camila, rapper Cardi B’s debut Invasion of Privacy and British girl group Little Mix’s fifth studio album (and my personal favorite of the year) LM5 each received two votes. From her days on Nickelodeon to her newest song “thank u, next” (her first No. 1 on the Billboard charts, the video of which gained the most views in its first 24 hours in YouTube history), Ariana Grande has had no shortage of success. But her life and actions outside of this are what have made her one of the most influential celebrities of the year. “Ariana Grande had a really tough year dealing with her PTSD from the Manchester attack and then the death of her ex-boyfriend Mac Miller which many blamed her for. She also ended up having to break off an engagement but has been so strong and never stopped being a positive and wonderful person. She is an amazing role model of an empowered woman for girls all over the world,” The Sidekick staff writer Charlotte Vanyo said. 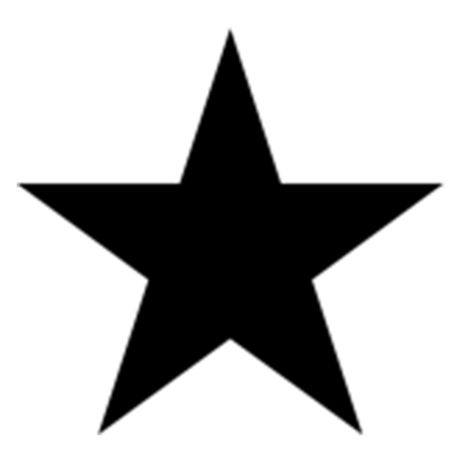 Grande received six staff votes for most influential celebrity. In second place comes Donald Glover, also known as Childish Gambino, whose track “This is America” and its music video tackled racism and gun violence in modern United States and became a cultural phenomenon. He received three votes. 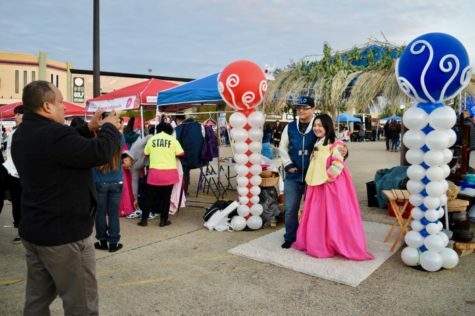 On Nov. 6, the Korean Society of Dallas hosted the Korean Festival in Carrollton Asian Society. It was an immersive experience, with a display of Korean Art, food, music, sports and traditions. 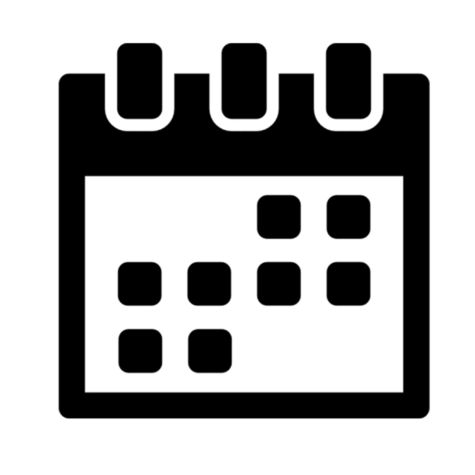 This annual event received 11 votes for the best local event of the year. 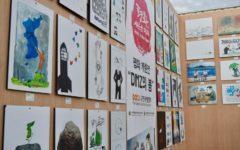 The Korean Society of Dallas hosts an annual Korean Festival which features local Korean art, food and live entertainment. 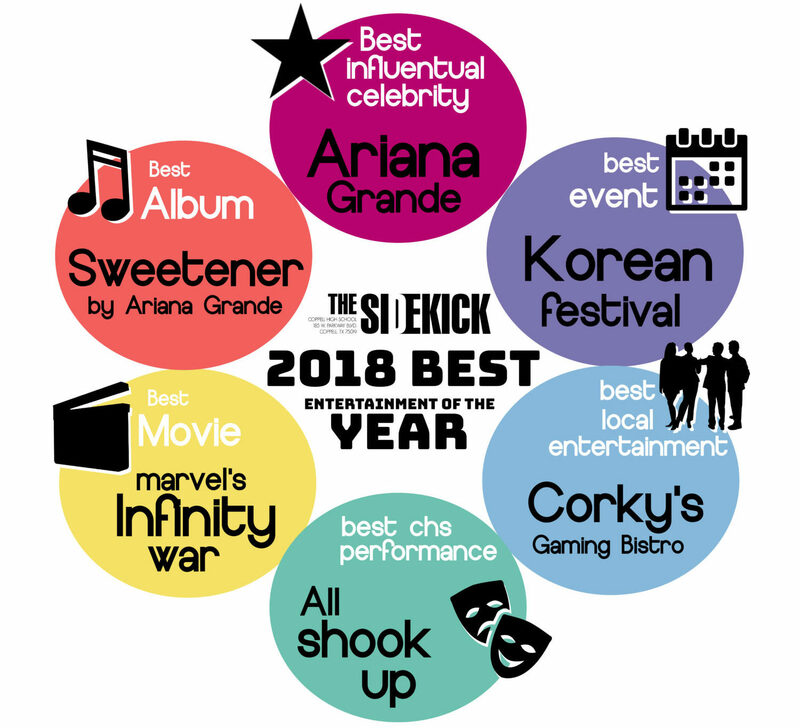 The Korean Festival was voted as The Sidekick staff’s favorite local event of 2018. “For a long time, I’ve been interested in Korean culture, and I’ve always heard about the festival, but this year was my first time going. 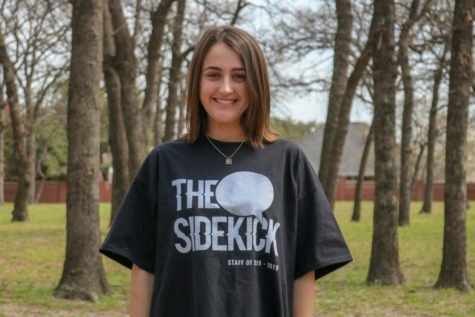 It met up my expectations and it was really fun to do,” The Sidekick staff designer Bailey Lai said. 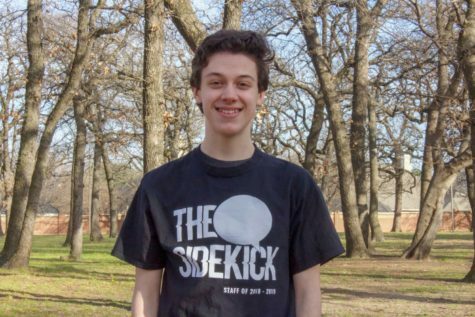 Coppell’s second hosting of the annual Kaleidoscope event, which promotes different cultures throughout the world through dance, activities, crafts and foods, comes in second place with five votes. Corky’s Gaming Bistro opened in August in Grapevine and has been voted The Sidekick staff’s favorite new dining and entertainment spot to open this year, with 11 votes. 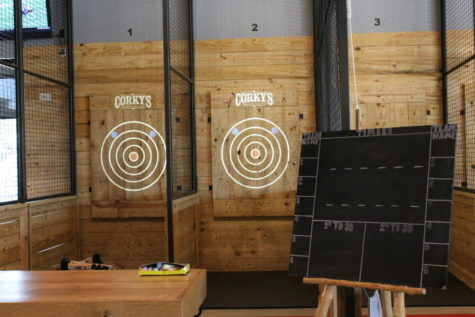 Offering a variety of throwback arcade games, escape rooms and axe-throwing activities, Corky’s is a fun place to spend a few hours. It also boasts many food options, such as burgers, pizza, hot dogs and cheese fries. 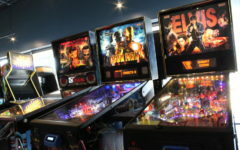 Corky’s Gaming Bistro has a variety of retro arcade games, escape rooms and axe-throwing. It was voted The Sidekick’s best dining and entertainment of 2018. 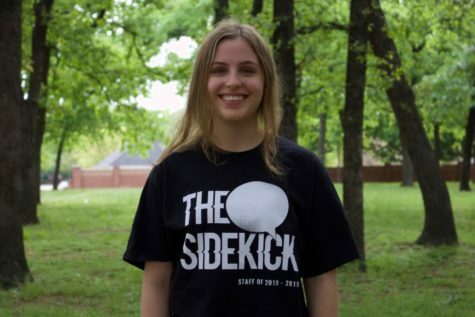 “When I went [to Corky’s Gaming Bistro], I really liked the different features like the escape room and the axe throwing, which in combination with the throwback arcade games just gave it a very quirky and unique feeling,” The Sidekick copy editor Pramika Kadari said. Sunny Street Cafe, which opened in Coppell in September, is the staff’s choice for the second best new dining and entertainment. 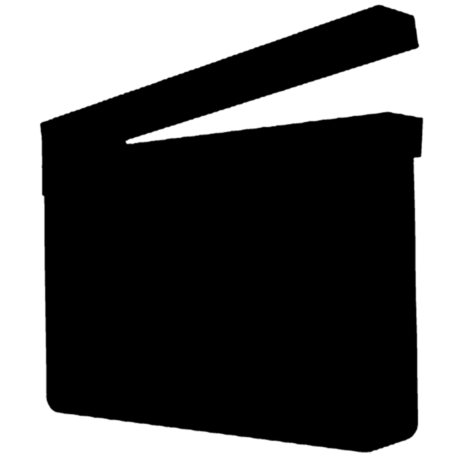 It received eight votes. 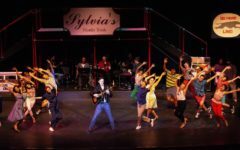 With a combination of Elvis Presley’s biggest hits, bright and colorful costumes and complicated love triangles, the CHS theater department’s production of “All Shook Up” was a major crowd pleaser, receiving 16 staff votes for the best CHS performance of the year. 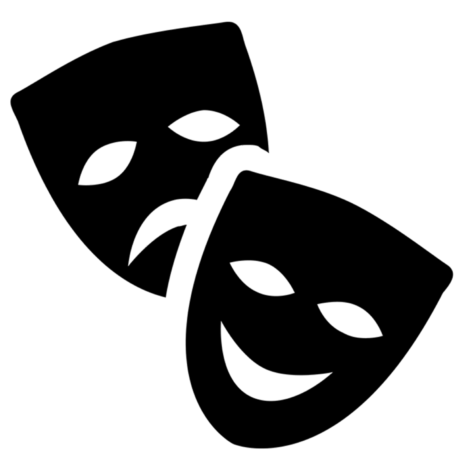 Coppell High School senior Avery Schultz starred in All Shook Up as Natalie Haller on Oct. 26 and Nov. 3-4 in the Coppell High School auditorium. 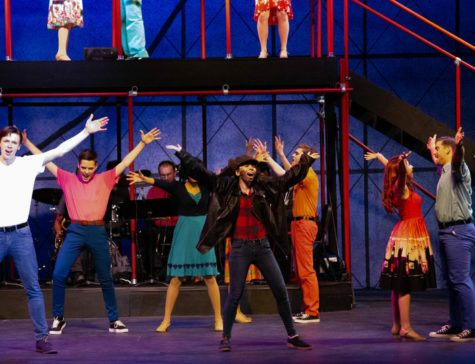 All Shook Up was voted as The Sidekick’s favorite CHS production of the year. The annual Respira dessert show comes in second place with five votes.